Christmas might be over, but that doesn’t mean it’s time to put your wallet away. After-Christmas sales are aplenty and it is time to stock up for next year and for gifts you can give through out the year. Stocking up on these items will help you save money next year. Now that the presents will soon to be been opened. The relatives have gone home. The refrigerator is full of leftovers. It’s that post-Christmas time of the year. 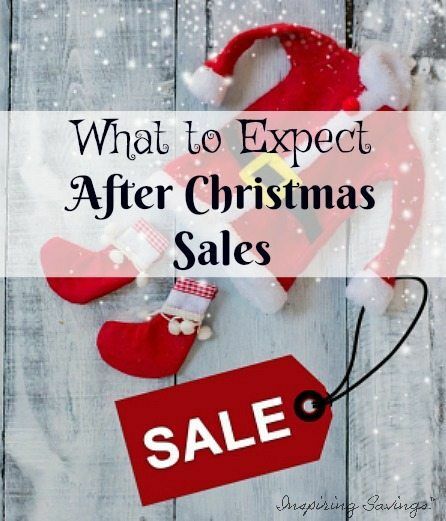 Let me first start off by saying, this will be the BEST time to get stocked up on items you will throughout the year and into the next Holiday Season. Every year I like to stock up on items I will need for next Christmas (wrapping paper, tissue paper, gift tags, bags, decorating items, etc) as well as items I could use for birthday gifts or other events. This is the one time I can say I purchase enough to last for a year. Considering that is how long I will have it in my possession. I don’t go crazy, but I do grab all thisthesems I need at 75% off for next year. Plus, I grab miscellaneous items for birthdays and other events. This is smart planning at its best. Collections of beauty products, for instance – tend to be deeply discounted right after the holidays. Pick up the boxes for your own use or to give as gifts in the coming year. Food items, both in terms of seasonal foods like pies and chestnuts and not to forget food gift sets, are quite cheap after Christmas. The food is still delicious, and the prices make those items a bargain. Plus, these sets can be used for gifts any time of year. (you did see that one coming right!) You’ll also find Christmas cookie dough and chocolate chips. Don’t forget that you can freeze these items to preserve them for later use. One of the best categories of items in after Christmas sales shouldn’t come as a shock. Focus on purchasing items that you will need for next year. Now is the time to stock up on wrapping paper, bow, wreaths, garland etc. When looking at wrapping paper also search out those patterns and colors that could be used through out the year for other gifts. Keep your eyes peeled you never know what you may find. We are already seeing toy clearances at many stores, but the prices will get even better. Think ahead to birthdays for your kids and their friends over the next year. What gifts can you buy in the next few weeks at as much as 75% off and save hundreds throughout the next year? (not to mention the time saved from last-minute shopping trips before parties!). It is so easy just to pull a gift out of the closet from your little stock pile. It never ceases to amaze me what sorts of things get marked down as clearance starting Dec. 26th, simply because the packaging has snowflakes. All those red boxed gadgets at Target will be on clearance as well as candles, air fresheners, and all the overstock of batteries! So grab all those coordinating coupons and prepare for some significant savings. You’ll find some items with just a touch of winter like picture frames and winter china, as well as plenty of small items that you can use for Secret Santa gifts at work or for church. You’ll be able to find snowman or snowflake paper towels and napkins that you can use for another 2 or 3 months without being out of season (not that it should matter anyway). There will be lots of winter paper plates that you can use for parties in the next couple of months. Plus don’t forget to pick up tissue paper. I like to pick up white tissue paper to use through out the rest of the year. I have purchased tablecloths (a red one and a white one) that were 75% off after Christmas. We typically use the red one from Dec. – March, white from April-August, and a fall themed one Sept-Nov. I’ve also found lots of cloth napkins that could also be used for any number of purposes. Winter PJs, Christmas themed clothes, hats, gloves, ear muffs, socks, hair bows, ties. It’s all got to go. By the time many of these hit 90% off they’ll be as cheap or cheaper than buying clothes at goodwill! We find a lot of excellent clothing deals after Christmas. Some will be Christmas themed and others won’t. You can save a Christmas craft set for the next year or pull it out for a Christmas in July activity to help break up the summer boredom streak. Most big box retailers will begin reducing items to 75% between Wednesday and Saturday following Christmas. The 90% off sales could happen as soon as 3 or 4 days after that. I love to save money and I hope that these tips will help you save BIG over the course of next year. Buy NOW and save.